Workshop registration for yarnporium 2018 is now closed! Please note that it will not be possible to purchase a ticket to a class on the day of the show, regardless of space being available. Thank you for understanding! Workshop registration OPENS JUNE 1, 2018! All workshops are three hours in length and require advance registration. Entrance to the Yarnporium marketplace is included in the cost of the workshop. All workshops are approximately three hours long. Cost per workshop: £65. Please note that workshops are non-refundable except where a workshop is cancelled and unable to take place. Colourwork is more than using traditional stitch patterns handed down for generations, and popular designer Karie Westermann is here to help you find your own design voice.Working with source material such as illuminated manuscripts and printed books, Karie designed signature colourwork pieces for her book, This Thing of Paper. Now you can learn how to do the same. Together with Karie, you will learn about colour theory, how to interpret colour stories, how to identify patterns, how to work out colourwork repeats, and how to move from inspiration to your own design story. 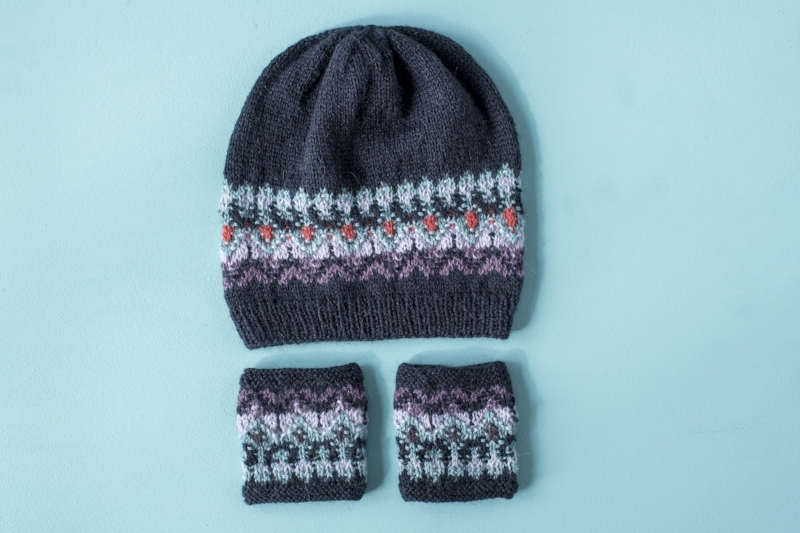 You will leave this class prepared to start a colourwork hat with your own special colourwork design. Karie will use examples from This Thing of Paper, show you colourwork samples, and talk about design processes. Experience Level - Intermediate: You need to be comfortable knitting in the round and be able to follow an easy colourwork chart. The Swedish workshop founded by Emma Jacobsson, Bohus Stickning, is best known for its beautiful hand knitted items made famous in the late 1930s through the 1960s for their attention to detail, innovative design and colour, and exacting standards of craftsmanship. Traditional Bohus patterns utilized a fine weight angora and wool blend to create a gorgeous halo and tonal gradations of colour. The addition of purl stitches and the sometimes 3rd - or 4th or 5th - colour per row opened up limitless design possibilities for the knitter. In this class you will learn a bit about the history of Bohus knitting, as well as the technique used to create its masterful effects. Experience Level - Intermediate: You need to be comfortable knitting in the round on double pointed needles or using magic loop and able to follow an easy colourwork chart. Carol's popular class on Short Rows works students through several different ways of creating short rows until they find the method that perfectly suits them. We will start with the standard wrap and turn and move from there on to Japanese, German and Yarnover methods. Once the short rows have been perfected we can explore innovative ways to use your short rows and incorporate them into your work! At this workshop, we will dive into the world of knitwear photography. We will go through basic camera settings and how to bring out the best of your photos through post processing. By going through examples, we will learn about light and composition, how to create a picture with a story. Time for hands-on practice, one-on-one feedback and discussion will be given. Experience Level - The workshop is open to photographers of all skill levels. Welcome to the wonderful world of brioche stitch! In this workshop you will learn how to knit plain brioche rib stitch, brioche stitch terminology, how to read your brioche knitting, how to troubleshooting your brioche, and begin working brioche rib stitch in two colours. Experience Level - Intermediate: confident knitting, purling, casting on, unknitting. Do charts make you uncomfortable? Or perhaps you even avoid patterns that have charts? This class will work you through chart and cable basics until you feel like a pro! Learn how to read a cable chart directly, even without a legend. Tips on fixing common cable problems; tightening up edge stitches, even dropping down cables to fix mistakes on a previous row! We might even take a look at two-colour cables. Psychogeography is about seeing your local environment in a new light: bike lanes, paths worn by human feet, and old forgotten rivers. It is about wandering your home town and looking closer at things you pass every day. 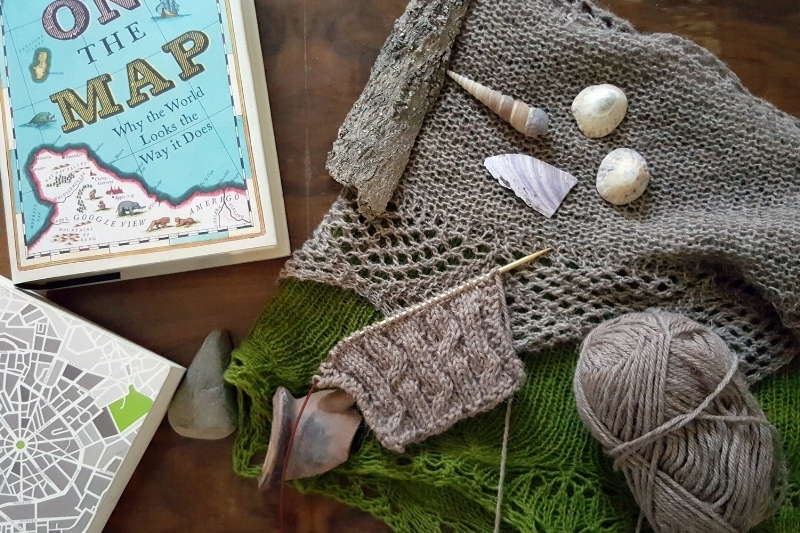 This class will be an exploration of how to express your memories and thoughts of a specific place using knitting as a medium. Karie will talk about her own experiences designing knitwear inspired by specific landscapes - from shawls mimicking submerged beaches to hats taking visual cues from her Glasgow cityscape. Together youwill begin to explore your own landscapes on the needles. What is the fabric of your own place? How can you translate the way you navigate the City into a wearable piece of knitwear? 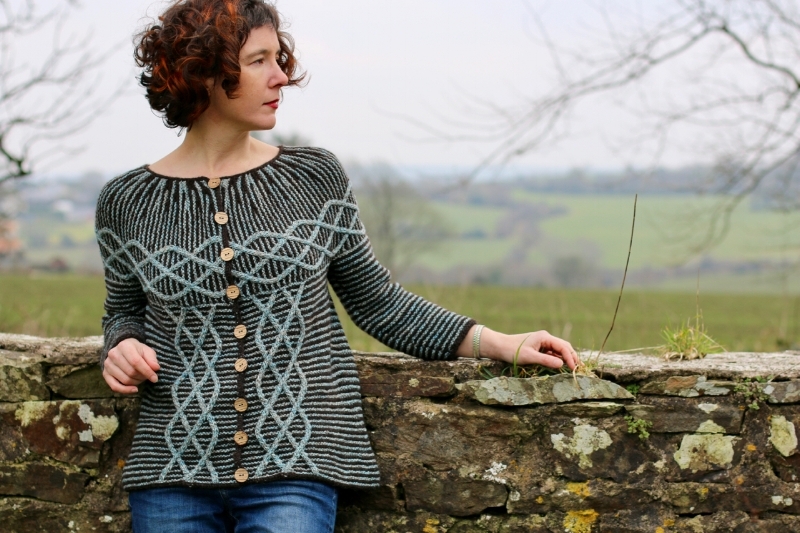 Karie will guide you in thinking about textures, stitch patterns and colours - and make you look at familiar streets in a new way. Knitting is never 'just knitting' - it can be a wonderful way of engaging with the world in a way that also keeps you warm! Experience Level - Intermediate to Advanced: You'll be exploring ideas rather than knitting straight from a pattern. An open mind - this won't be your average knitting class! Roositud is an Estonia inlay technique where a contrasting colour is wrapped between the back and front of the fabric as you knit. The end result is a geometric patterning on the knitted fabric that resembles embroidery. Using the Roositud technique allows you the freedom to place a motif anywhere and to use as many colours as you wish, allowing for almost limitless design possibilities.